Looking for an onsite storage solution that is practical, versatile and secure at the same time? In this case, we have just the thing for you. The Blue Mobile Cabinets that we provide are a reliable storage option for a great variety of goods, including tools, documents and other everyday essentials. 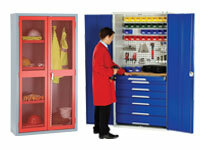 When you need mobility plus storage, our blue mobile cabinets are always the best alternative at hand. These central locking cabinets feature roller bearing drawers that can hold a weight of up to 50 kilograms. The lockable cupboards come with a galvanised shelf designed to support objects with a weight of up to 50 kg. Multifaceted, robust and suitable for everyday use, our blue mobile cabinets can also serve as a mobile workstation created to add value to your workspace and help you stay organised around the clock. Due to its elevated practical and aesthetic value, this item can be installed in virtually any working environment, including warehouses, home offices, offices and garages. Its steel push-pull handle and dia castor set with brakes (125 mm) ensure an easy movement, allowing owners to reposition and repurpose their central locking cabinets with ease, anytime, anywhere. 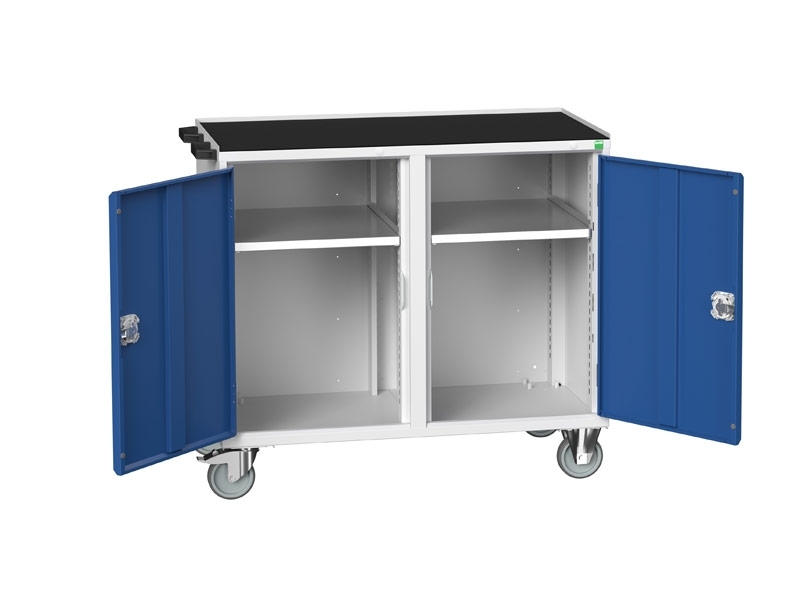 The blue mobile cabinets that we provide are an excellent alternative for both individuals and businesses looking for storage solutions that are cost-effective, portable and secure. These handy additions are compatible with the specific storage needs of different categories of professionals operating in different sectors (retailers, lawyers, real estate agents, teachers and so on) who need to file their paperwork and deposit everyday essentials onsite, securely and conveniently. If you want to store goods with a combined weight of up to 200 kilograms, the mobile cabinets available. We can deliver this item to your door in 15 days. We offer free delivery and always keep our price match promises, so hurry up and add our sleek blue mobile cabinets to your shopping cart to profit from all these incredible advantages.